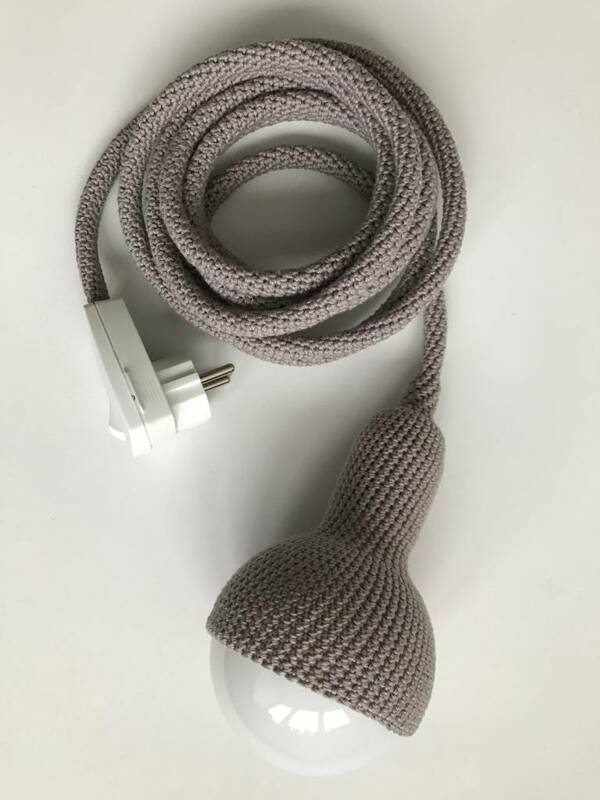 Lamp, plug in pendant lamp in pearl gray with 3 meter cord. 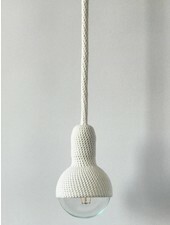 Lamp is a completely crocheted pendant lamp. 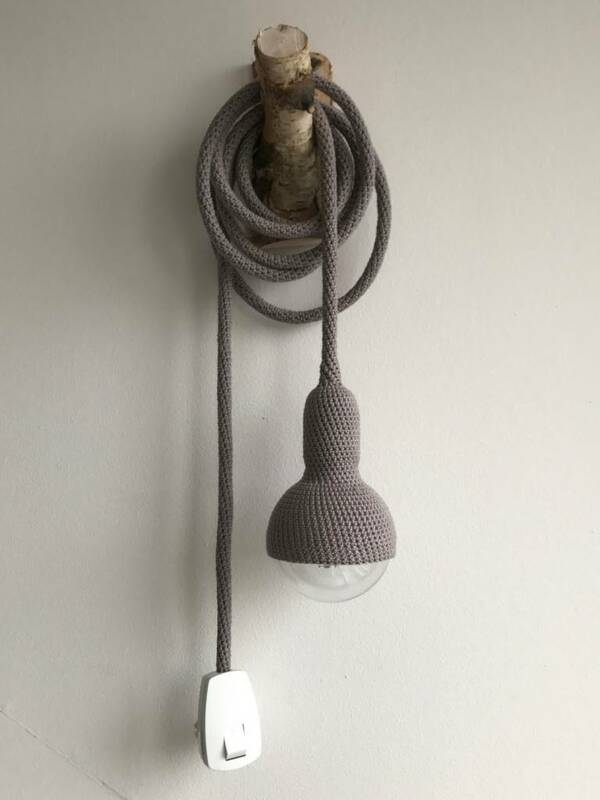 Inspired by a simple bare bulb pendants, Lampe gives more texture and colour. Every lamp consists of one long cotton thread. Crocheted this thread forms a tight shell around the bulb, fitting and cord. 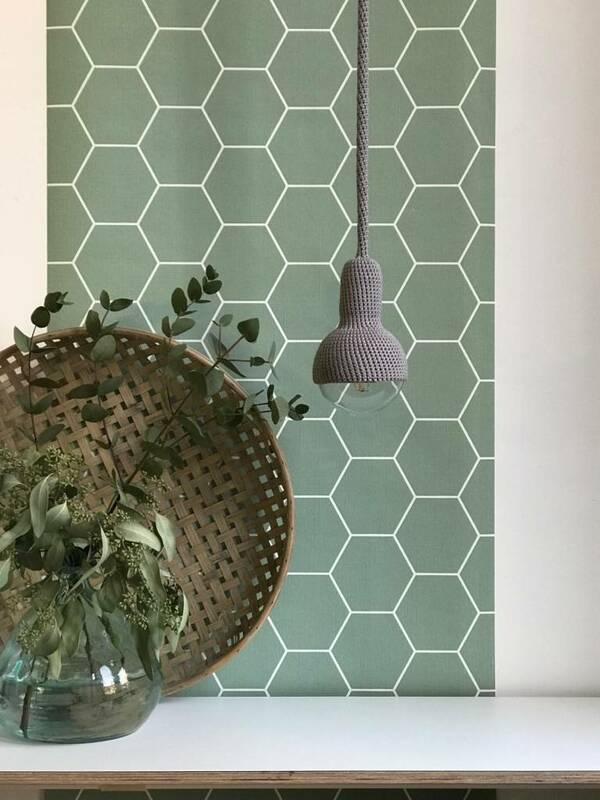 All Lampes are made by hand by et aussi in the Netherlands. 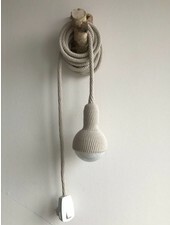 Lamp, plug in pendant has a long crocheted cord and a plug with a switch. The plug is for a standard Dutch socket. For other types of sockets you will need an adaptor. These are also available. Both the energy saver bulb and the led bulb do not get hot and give a beautiful warm light. !! Please note that Lampe can only be used with the bulb that comes with it !! This bulb can be bought as well online or specialized shops. Cords can be ordered in any length. Price per meter €33,95. For ordering longer or shorter cords, please send us a message. All Lampes are made to order. This takes about 2-3 weeks.